From last few decades, Google has become more attentive and cautious in showing relevant search results to the users. It has been rolling out several small and big updates now and then to improve the efficiency of the search results and provide the users with the exact results for what they are searching. One such major update known as Core Search Algorithm Update was rolled out by Google on August 1, 2018. This update appears to have affected both the local and organic rankings. It seems like Google has made changes to the local as well as organic algorithms. (2)Websites in the medical, diet and nutritional niches claiming facts without any research and updates. (3)Many large businesses with multiple locations across the country as compared to smaller locally based businesses. As this update majorly affected the websites from the medical niche, it is also said to be a “Medic update”. One of the major reasons for the drop seen by these websites is due to low E-A-T.
E-A-T stands for Expertise, Authoritativeness and Trustworthiness. This means that for any website to rank high it should have content that can prove its expertise in the particular niche. It should include genuine and valid content (not just promotional content) written by the people who are the authorities in that niche. The website should be able to build the visitor’s trust through its content. Low or very little external reputation of the websites. Promoting or advocating things that are not considered to be legit. Authors with no medical E-A-T and low external reputation. If your website doesn’t have an about us page, then its time it should get one. Add the detailed information about your business, mention about all the awards and certifications your business possesses in it. Try telling visitors and Google why your business is expert and authoritative in that particular industry vertical. This does not mean that Google can understand all this information. But this is the least we can do to make Google understand that our website’s E-A-T is good. Every post on your website should include an author and must have a detailed bio of him or her. You can do this by getting a press coverage for your website and getting more genuine reviews for your business on Google. You can also improve the E-A-T of your authors by getting them placed on other authoritative websites outside your website. All of this can increase your site’s external reputation. Firstly, if you are selling any product, make sure that it is not harmful or spammy. If it is, then this can be a reason for the drop seen in your ranking. Otherwise, you can improve your product’s reputation by fostering reviews, getting a detailed and correct information about it and all the other stuff which can make people believe that your product is good. 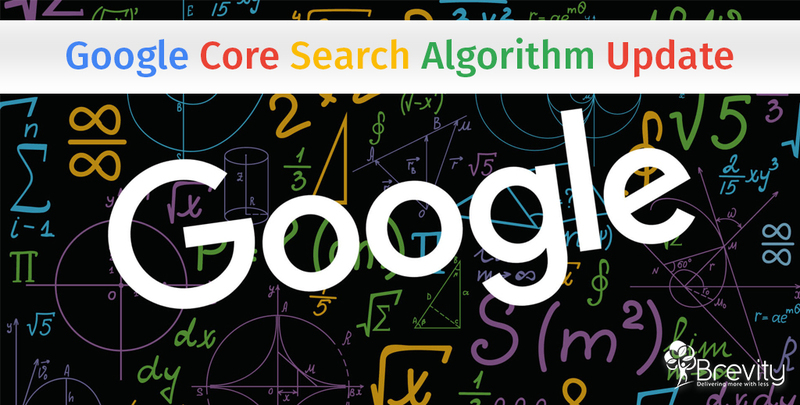 Google Core Search Algorithm is the greatest update rolled out by Google in the recent times. And to protect your website from it, providing “Quality Content” is all that you can do. You can also try increasing the page load time and enabling security for your website. If you need white hat SEO services for your website to prevent it from such Google updates, then contact us. We are an SEO company in India and the UK.